The top six breeds account for more registrations between them than the remaining 214 dog breeds combined. Other ‘winners’ include the Boston Terrier, which appeared on the list for the first time, and the Mini Smooth Haired Dachshund, which has moved up 10 places since 2013. The classic Bulldog has moved up three places in the past five years, while Hungarian Vizsla numbers are also steadily climbing. There’s sadder news for lovers of Westies, Lhasa Apsos and Long Coat Chihuahuas, however, as these breeds no longer appear in the top 20. German Shepherds, Shih Tzus, and Border Terriers are also on the decline. 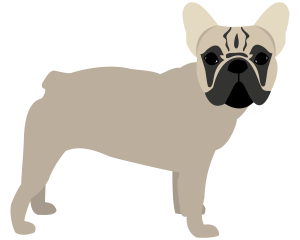 Full registration statistics for all breeds can be found here.